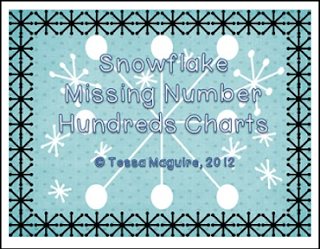 10 different snow themed 120-number grid puzzles (hundreds charts) with missing numbers. They are designed to be used as centers (or can be worksheets) during your math block. This is great practice for students figuring out patterns in numbers. Students can use a full hundreds chart to help them complete the missing numbers, or you can use it as a way to assess their place value understanding and number sense.